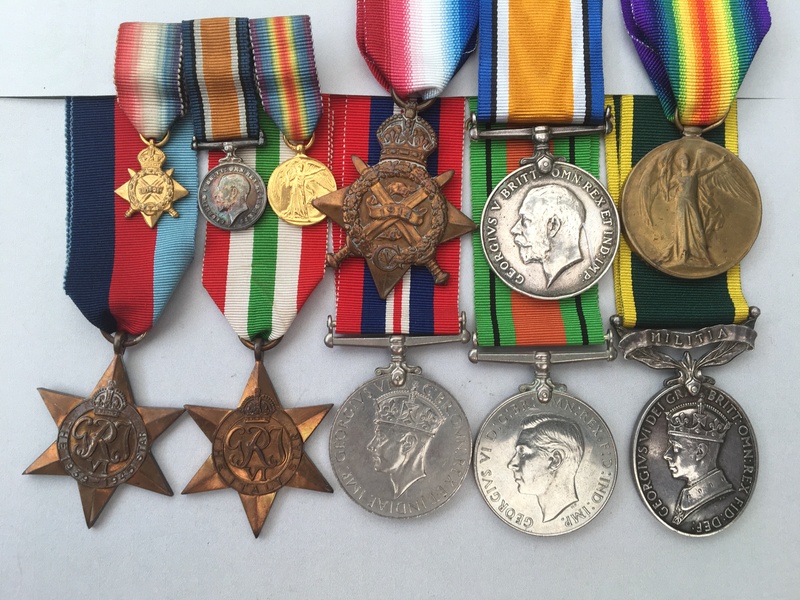 WW1/WW2 & Territorial Family (Father and Son) medal group awarded to Winkless. 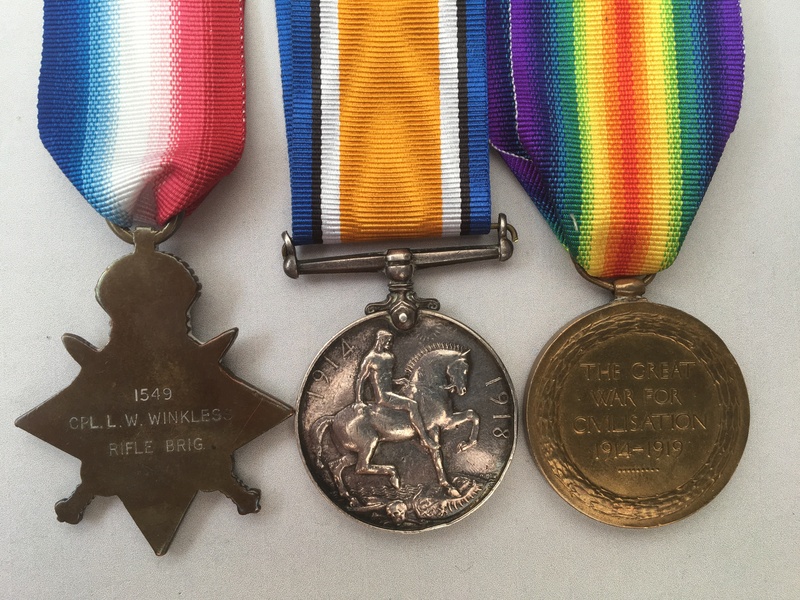 The WW1 group was awarded to Private 1549 Leslie William Winkless who served with the 10th Battalion Rifle Brigade (The Prince Consorts Own). Both the 10th - and 11th - (Service) Battalions were formed in September 1915, at Winchester, as a part of the Second New Army and moved to Blackdown to join the 59th Brigade of the 20th Division after which they then moved to Witley, and then on to Hamilton Camp, Stonehenge. On the 21th September 1915, they mobilised for war, and landed at Boulogne (Winkless’ Medal Index Card confirms he entered France on the 22nd) and engaged in various actions on the Western Front including, during 1916: The Battle of Guillemont. During 1917: the attacks on Steenbeek, Rue Des Vignes, and the Battle of Cambrai details of which can be viewed by clicking on here. On the 5th February 1918, the 10th disbanded near La Clytte and personnel transferred to the 3rd 11th 12th and 13th Battalions. The 11th continued to engage in various actions on the Western Front. A history of the regiment can be viewed by clicking on here. 1914 Star named to (see Note 1 below). A paper copy of his Medal Index Card, included in this listing which can also be viewed by clicking on here (if you have access to Ancestry), confirms that he was issued with a 1914-15 Star. This corresponds with the detail on the 1914-15 Roll details which can also be viewed by clicking on here (again if you have access to Ancestry), NOTE1 - HOWEVER the medal is clearly a 1914 Star. If you look at the naming it would appear that this privately named and is a replacement medal. I can only assume that Winkless lost his original and took a 1914 Star as a replacement. The British War Medal and Victory Medal Roll details can be viewed by clicking on here (again if you have access to Ancestry). NOTE 2 please be aware that there is some slight damage to the suspender rod of this medal - please look closely at the associated image. The actual suspender is however very firmly attached. 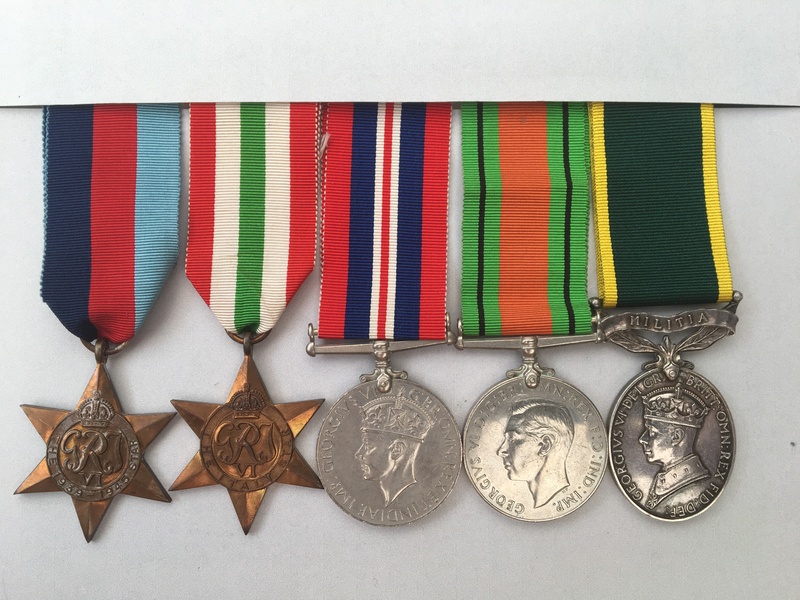 The medals are loose but come with a good length of replacement ribbons, along with a set of matching contemporary miniature medals which are swing mounted and come with their original ribbons. The WW2 group with Territorial Efficiency Medal awarded to Corporal Lesley W. Winkless who served with the Royal Corp of Signals. Edward VI Territorial Efficiency Medal (MILITIA) named to 6909894. CPL. L. W. WINKLESS., R. SIGS. 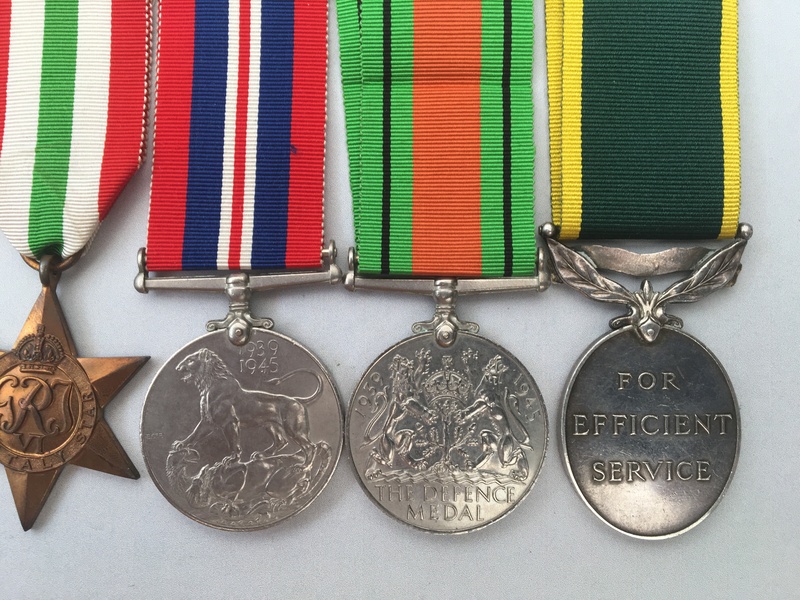 These medals are supplied loose and come with a set of replacement ribbons. Details on the Royal Corp of Signal can be viewed by clicking on here. Details of the campaign in Italy can be viewed by clicking on here.